Zela is a warm and enthusiastic presenter and a strong communicator. Working for twenty years as a classroom teacher gave Zela plenty of practice at speaking in front of groups of students, however she found that speaking in front of other adults was quite different! Her skills as an inspiring and entertaining speaker were developed through her membership of Toastmasters International, where she is an executive member and regular competitor at inter-club events. Since then, she has taken part in local and area Toastmasters Contests and Conferences, serving a President of her Club in 2015-16. “I was surprised how much writing the speeches gave me motivation and opportunity to examine my own life. In 2014 and 2015. 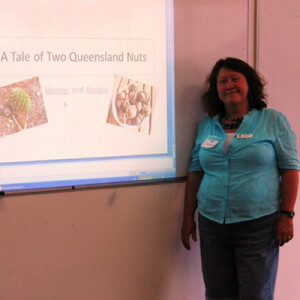 Zela expanded her public speaking repertoire when she took part in Pecha Kucha evenings run by the Cooloola Arts Society, a succinct form of speech-making with no notes, using 20 PowerPoint slides to guide the talk. Each talk takes only 6 minutes 20 seconds, (20 seconds per slide) as is also known as slide jamming. Zela has delivered the following presentations to conferences based on her peer-reviewed academic papers. 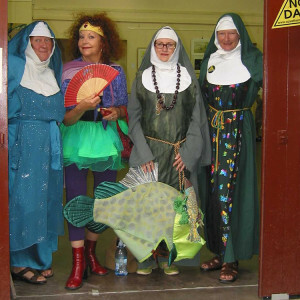 Sisters of Mary has a positive vision for the future of the Mary River catchment. As founder (and Mother Superior) of one of the original river activist groups, Zela took part in singing, street theatre and other performances during the campaign to save the river. 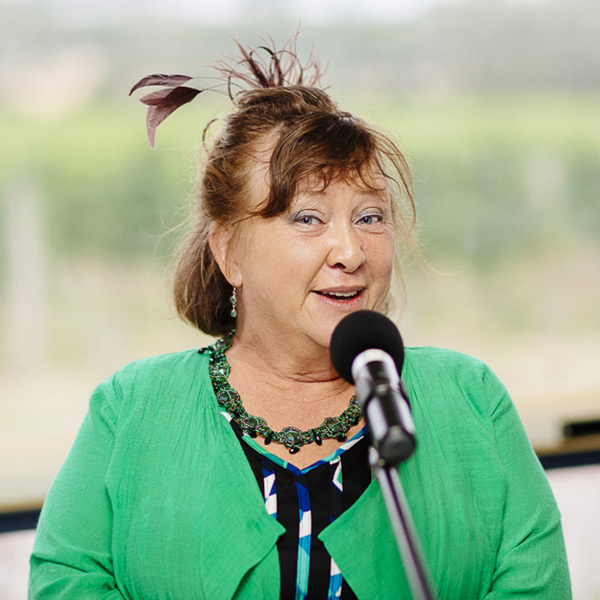 In recent years she supports the MRF by acting as MC in the Speaker’s Tent where she puts together an interesting program of guest speakers each year. As one of the world wide celebrations for the 10th anniversary of the launch of the Earth Charter, the Australia Pacific Earth Charter +10 festival was held in Brisbane on 16-19 September 2010. Zela gave an address here about the two valuable native food sources and their Indigenous custodians. A teacher who brought her class along spontaneously wrote a letter of apology to Indigenous people, and asked Zela to present on her behalf to elders at Cherbourg Aboriginal Community. 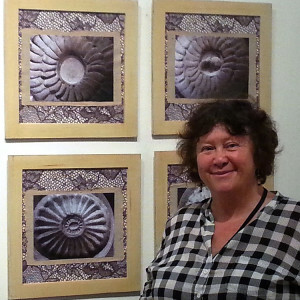 The Six Degrees of Separation, artist’s talk was held at Gympie Regional Gallery. Zela was an invited artist in this show due to the environmental content in her work. She also took part speaking on a panel about the work and the threats to our oceans.